A 17TH century masterpiece which hung in the heart of London for almost 30 years has been handed back to its original owners after it was discovered to be Nazi loot plundered in the dying days of the war. 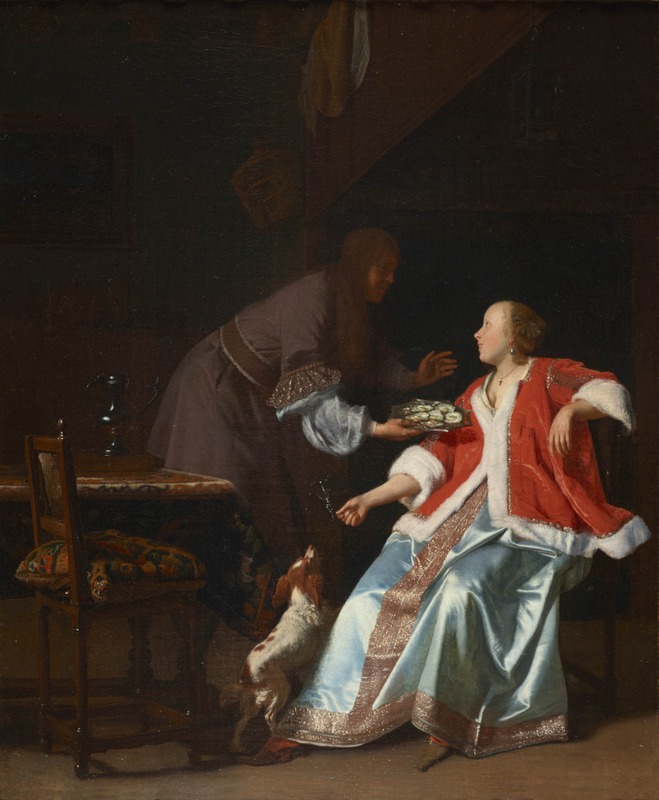 The oil painting of The Oyster Meal by Dutch artist Jacob Ochtervelt was part of a 84-piece collection on show at the Lord Mayor’s official residence at The Mansion House. It was owned by property developer Lord Harold Samuel who left it to the City of London corporation when he died in 1987. Researchers from the London-based Commission for Looted Art in Europe traced it to its owner, Dr Smidt van Gelder, who had hidden it in a bank vault in the Dutch town of Arnhem during the war. The town, which was the subject of a famously doomed allied attack in 1944 which inspired the film A Bridge Too Far, was ransacked in January 1945 as German troops prepared for another attack and the oil painting was one of 14 that were stolen. It was never seen again until it was sold in Switzerland in 1965 and then bought six years later by Lord Samuel who was a noted collector of Dutch art. His original bequest to the city stated all the works had to stay in Mansion House permanently but his family waived the agreement and agreed to return the painting after hearing the story. Dr Smidt van Gelder’s 96-year-old daughter Charlotte Bischoff van Heemskerck, who is in London today (november 6) to collect the painting from Lord Mayor Andrew Parmley, said its recovery had been “a collective effort”. She said: “We are very grateful to the Commission for Looted Art in Europe for the countless hours spent establishing the history of this painting, and to the City of London Corporation for honouring our claim in such a professional manner, and for taking such a constructive and positive approach. This painting was one looted from our family during the plunder of Arnhem which impacted so many families in our community. A replica of the painting will be produced to take its place in the collection. Mr Parmley said it was “entirely right” the painting be given back and said he hoped it would be “a happy, albeit, long overdue, resolution” for Dr Smidt van Gelder’s family. The growing awareness of looted art has made it an issue for many of the country’s leading galleries and museums and the Government recently announced plans to extend the Holocaust (Return of Cultural Objects) Act indefinitely. The Act, which has been due to expire on 2019, gives national museums powers to return works of art found to be looted during the Third Reich. More than 100,000 works of art, mostly stolen from Jewish families, are still lost although institutions including the V&A and the British Library have returned works later found to be stolen.